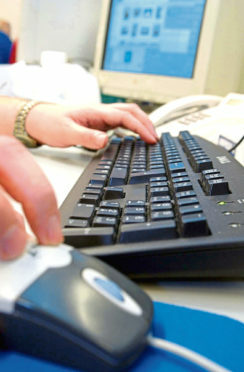 Farmers and crofters have been urged to complete their SAF online as soon as possible. The farming union’s policy manager for Common Agricultural Policy schemes, Jenny Brunton, said it was business as usual for applications for Basic Payment Scheme (BPS) support via the SAF. “The SAF window, which runs from March 15 to May 15, will be punctured by Brexit headlines but don’t be inadvertently distracted from this important process,” said Ms Brunton. NFUS is encouraging farmers to submit their SAF online, sooner rather than later, as well as reminding them paper forms are available from local government offices. “A change to online from paper application has real benefits for those who are able to, as it checks for errors throughout the process which allows for speedier processing,” said Ms Brunton. “Remember, if you are transferring entitlements or land, to make any changes you need to do so by April 2. Also, sort out with others if land is changing hands and who claims,” said Ms Brunton. She said government had undertaken substantial work to update land data and it was the applicant’s responsibliity to ensure maps are correct. “Check the online maps and if anything needs to be corrected then submit a Land Maintenance Form,” added Ms Brunton. Ms Brunton advised people to read the full scheme guidance before submitting their SAF, and ensure all relevant paperwork is attached. She said greening rules in the form of crop diversification and Ecological Focus Areas (EFAs) are an annual consideration and farmers should check their calculations are correct. Those who choose to use eligible edges to make up the 5% EFA requirement are reminded that an EFA hedge is any hedge “having a length of at least 20 metres or a length of less than 20 metres where it meets another hedge at each end”. Any gap of less than 20 metres is treated as being part of the hedge. “Completing your SAF form is the most important day in the year for Scottish farmers and crofters and I would encourage all members to begin working on their forms as soon as possible to ensure they meet the May 15 deadline,” added Ms Brunton.